TheAeroClock is a unique desktop clock with transparency. 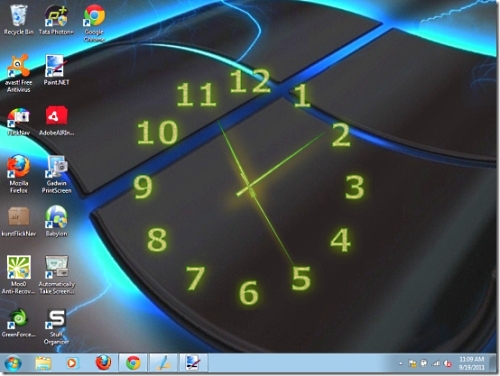 This very decorative desktop clock shows the local time at the Desktop. The basic functions: total transparency, size, setting, and the selection of the Clock-texture or the appearance are available.